Excited About Going Back In Manila??? A Gadget Or An ATV For Brandon? We woke up early today for an early flight. My boyfriend is just as excited as I am because we are both coming home-bound to GenSan. He's finally meeting the rest of my family and some relatives and friends. I just can't wait to show him my beautiful hometown. We're not going home for vacation, to be quite honest. My mother is going to keep us busy on our 5-day stay. Yes, it's just 5 days. I hope, even though there are going to be a helluva things to do (i.e. building a fence on our small farm, checking out the land-area my mom bought, clean up the house/deforestation and more for sure! LOL!) we are going to have a good time with my family. I know it's going to be a great experience for my boyfriend (keeping my fingers crossed! haha!). It's 6am now and we are both anxiously waiting for our flight. Boarding time is 6:25am. I'm not bored because I'm doing something else online right now. 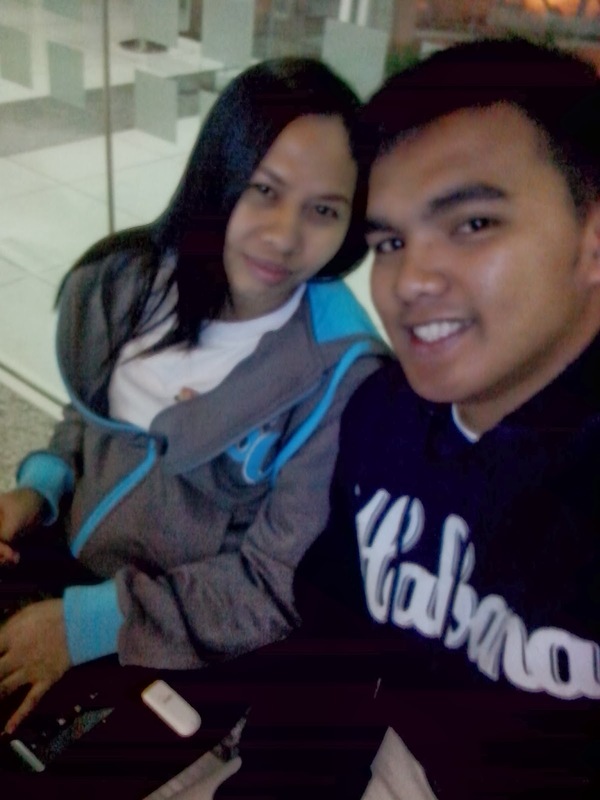 As for my Love, he's really excited to set foot in GenSan and he's now bored and hungry. LOL!